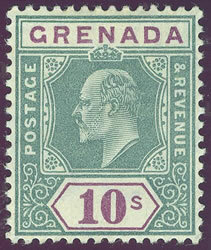 The young woman featured in the stamp below is very special to me. 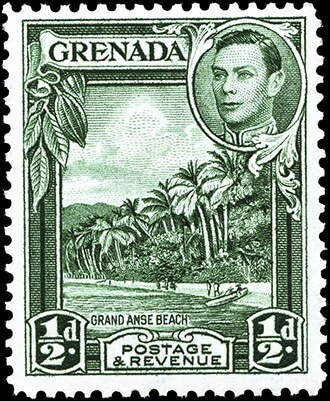 All of my favourite 'stamps' are named after her, in her honour. 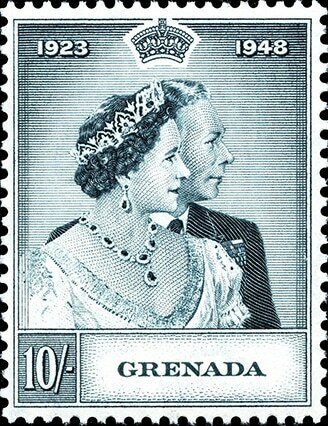 She will always be remembered by collectors and Philatelists of Non-Postage stamps......forever more ! 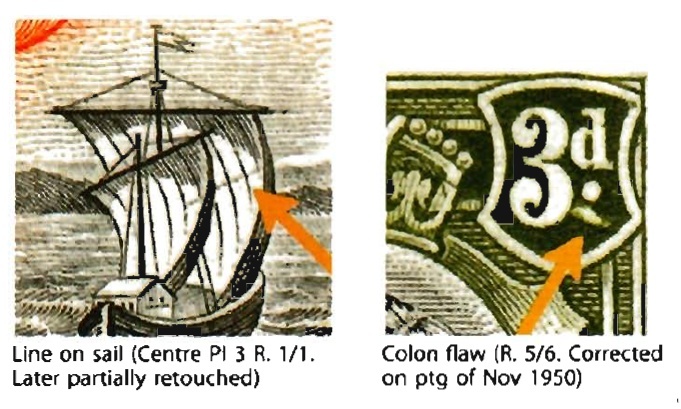 What's the story behind the naming of Cinderella's, anyway? 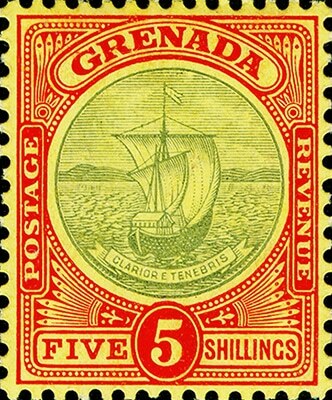 Are we just trying to say the neglected but beautiful sister of philately? 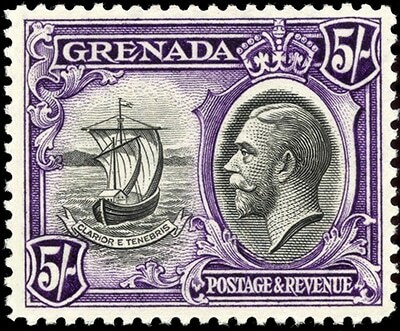 "All science is either physics or stamp collecting" -- Ernest Rutherford. 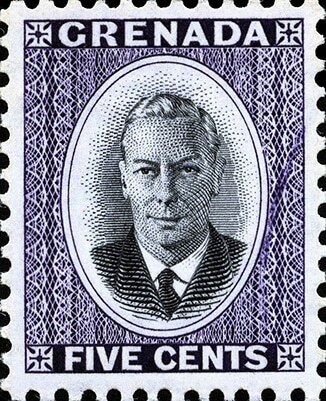 It can be interpreted in a number of ways. 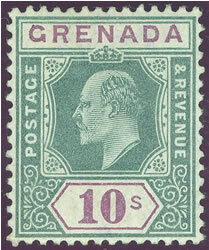 But in the past, Cinderella stamps were not allowed on display at most National and all International Exhibitions. 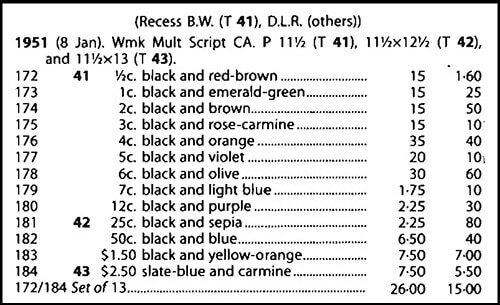 There were no Cinderella sections at all to look at. 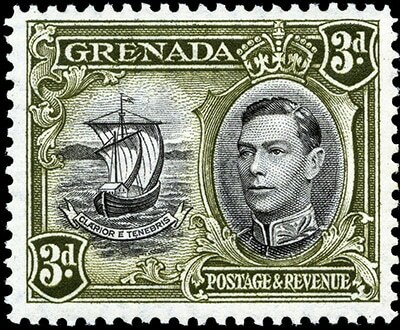 So they never got the chance to go to the Ball, so to speak. 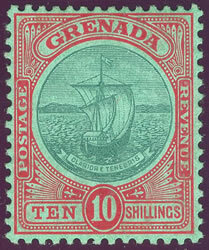 They were like Cinderella, left behind while the Sisters(stamps) had their fun being ogled. 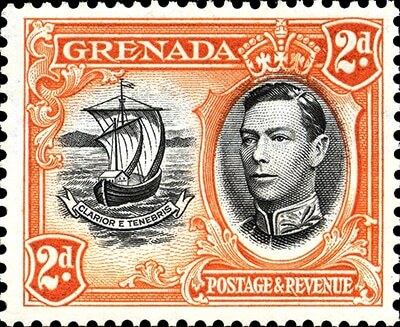 What I collect: British Colonies - King George VI from all countries and King Edward VII & King George V from the West Indies. 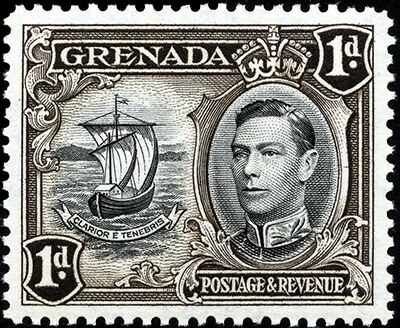 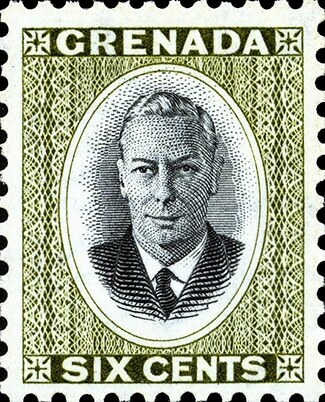 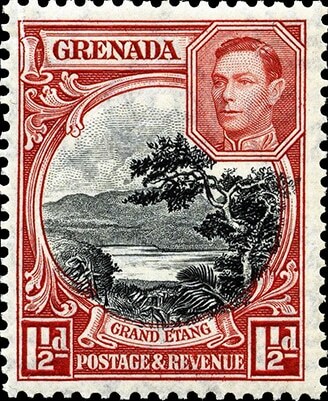 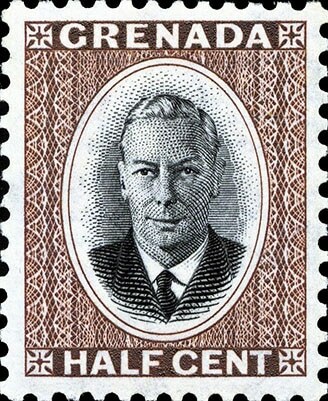 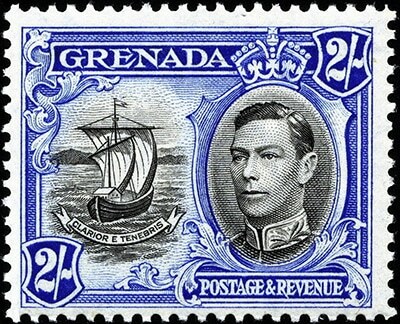 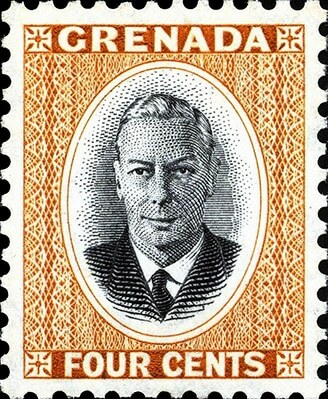 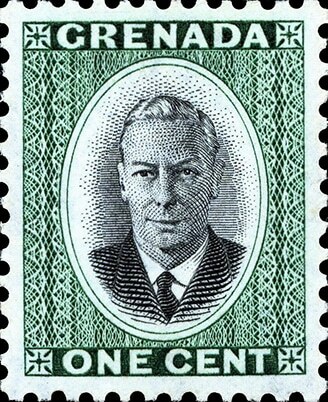 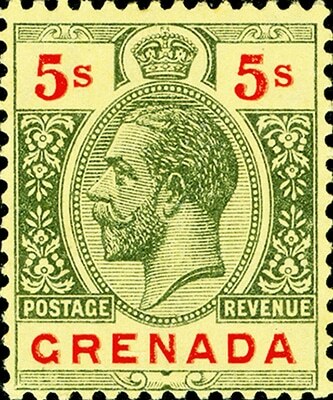 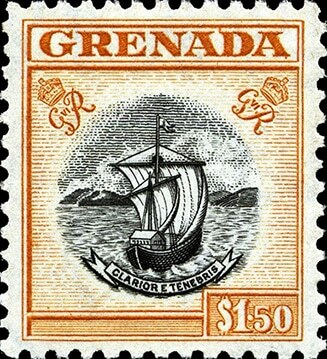 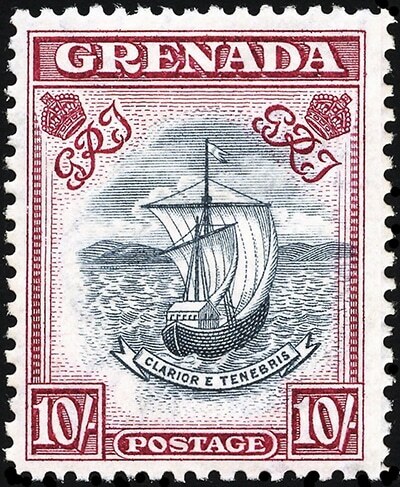 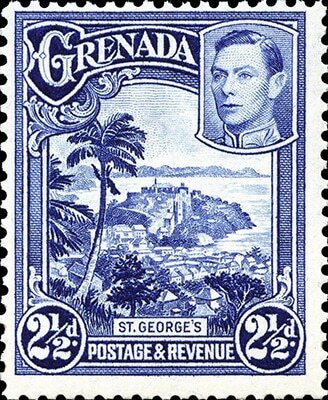 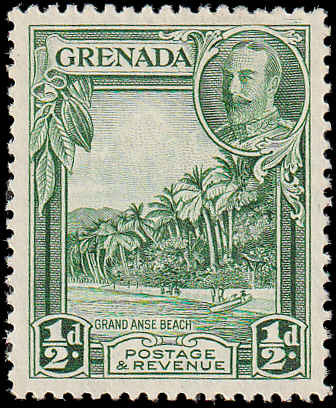 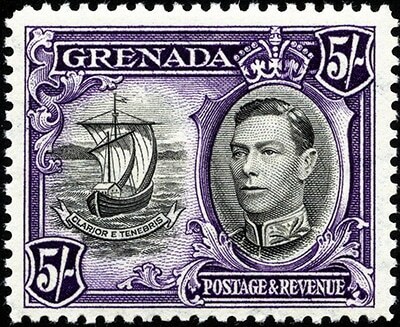 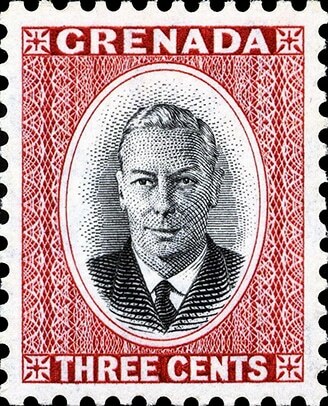 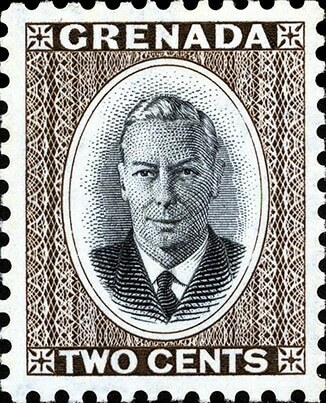 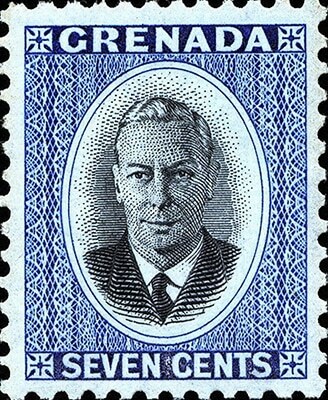 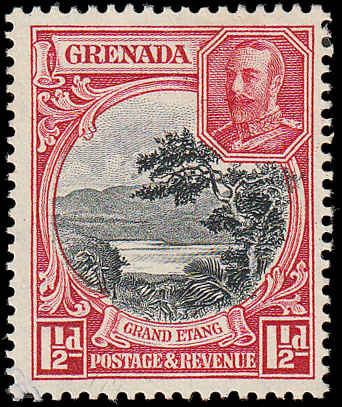 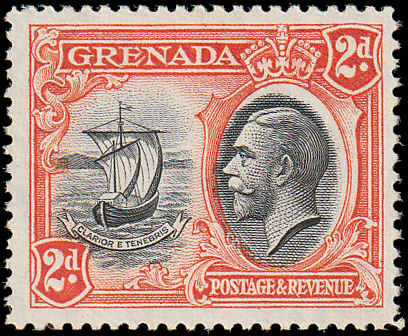 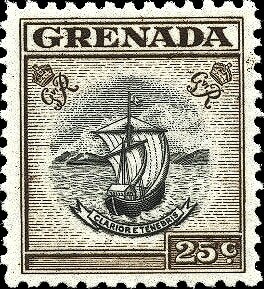 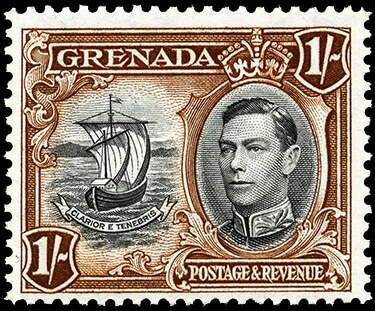 One of my favorite KGVI Stamps is the Grenada 10/. 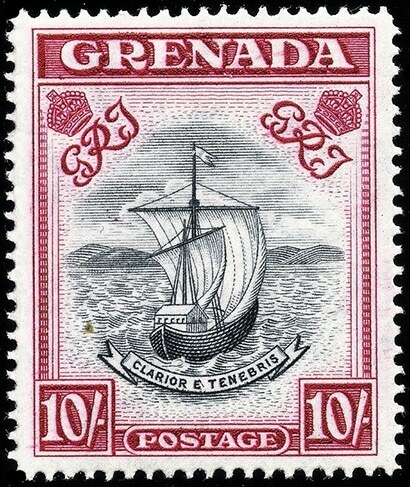 I like the design and the complexity of the issue. 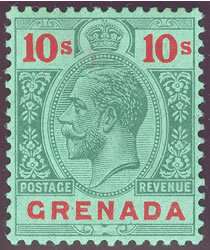 During the 10 years that it was printed, there were 9 different printings using four perforations, and two paper sizes. 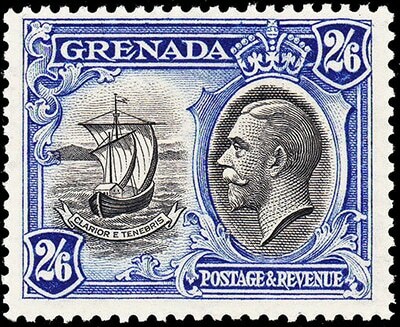 All together about 82,000 stamps were printed, but most of them were the final printing which was over 29,000 stamps. 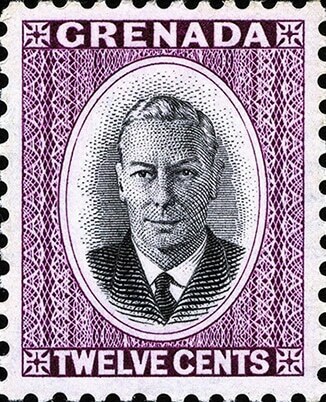 On the other end of the spectrum, only 780 of the stamps perforated 11.75 were printed. 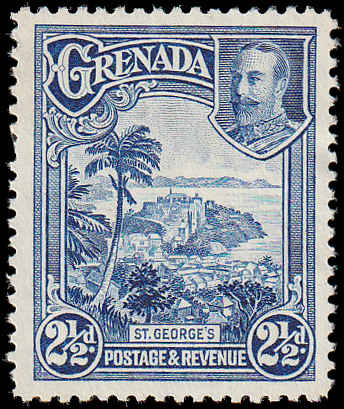 See my website if you want to learn how to sort these stamps by printing or by Gibbons numbers. 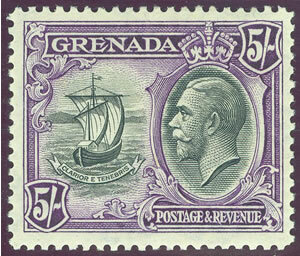 If you collect any of the King Edward VII or King George V sets from Grenada, I have web pages that will show you the various color shades specified by the Commonwealth, Stanley Gibbons and Scott catalogs. 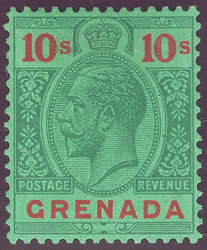 If you collect catalogued print shades and paper color varieties, the two King George V sets contain a number of them. 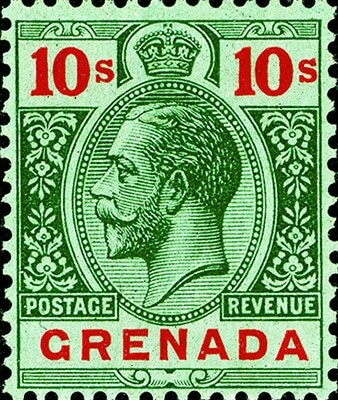 The King Edward VII sets do not contain very many because they were only each produced for a few years before being replaced. 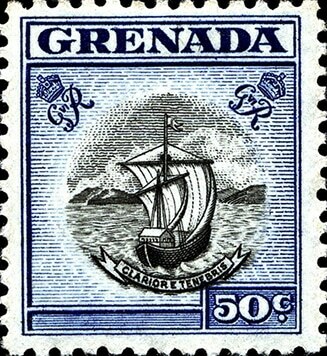 Click any of the links below to access the various sites.